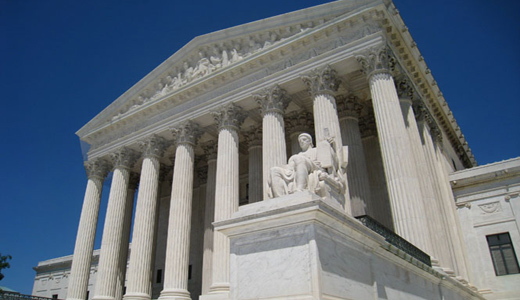 WASHINGTON – It’s the first Monday in October, and that means the U.S. Supreme Court comes back on the job, with cases – from pregnancy discrimination to whether retirees get health care – that will affect millions of workers. As the justices’ rulings in 2013-14 showed, their decisions have a strong effect on workers’ rights. In the most-obvious example, the full 5-member National Labor Relations Board is now re deciding through hundreds of worker-boss conflicts a prior board handled. That’s because the court’s GOP-named majority ruled that President Obama illegally named two “recess appointees,” thus throwing out all that board’s decisions. UPS argues the answer is “yes,” against driver Peggy Young, all the way to the Supreme Court. The justices will hear the case on Dec. 3. When Young, a UPS driver in Maryland, became pregnant in 2006, she got a doctor’s note and a midwife’s certificate barring her from lifting more than 20 pounds during the first five months of her pregnancy and 10 pounds thereafter. UPS requires its drivers to lift up to 70-pound packages and be able to push 150-pound packages on a dolly. Young’s union, the Teamsters, went to bat for her. Its shop steward argued that federal law required the company to accommodate her disability. UPS retorted the union contract – which was silent on the issue – overrode the federal Pregnancy Discrimination Act (PDA). UPS put Young on unpaid leave, where she stayed until two months after her baby was born. Young sued under the pregnancy law. The lower courts sided with UPS, saying its disability policy was “gender neutral,” as federal disability law requires. Young counters that the PDA extends “disability” to pregnancy. “UPS provides temporary accommodated work to three sizable classes of drivers with work restrictions: Those with on-the-job injuries, those with Americans with Disabilities Act disabilities, and those with conditions that render them ineligible for DOT certification. But it does not provide accommodated work to drivers who experience similar work restrictions due to pregnancy,” Young and her lawyers say. AFSCME, the Teachers, the National Education Association, the United Food and Commercial Workers and the Service Employees filed a joint friend-of-the-court brief backing Young. All five unions are between 56 percent and 64 percent female. “A robust PDA is key to protecting these workers from pregnancy discrimination in employment,” their brief says. “UPS’ claim that collective-bargaining agreements are ‘controlling’ over the PDA’s substantive protections is baseless,” the five unions add. “Quite to the contrary, an employee’s protections under the federal civil rights laws, including those secured by the PDA, are not forfeited or supplanted simply because the employees exercised their rights to form and join a union for purposes of collective bargaining. When do union contract health care benefits cover retirees? Some federal circuit courts say only if the language is extremely specific, others disagree. A case pitting the Steelworkers against M&G Polymers of West Virginia, which the justices will hear on Nov. 10, will give the High Court a chance to sort it out. M&G’s current owner, a Luxembourg-based firm, continued retiree health care benefits negotiated with Steelworkers Local 644 under prior owners. But that included a $10,500 lifetime cap on past retirees’ health care benefits that the last prior owner, Shell, pushed onto the union in the mid-1990s. In 2007, M&G started applying the cap to current retirees, too. The Employee Retirement Income and Security Act bars firms from such unilateral changes in pensions and benefits, the Steelworkers and Tackett say, so they sued. They added the cap on current retirees violated the union contract between M&G and Local 644. 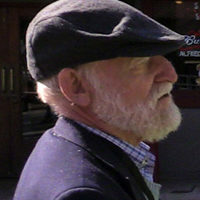 “When read in context of all related agreements and” the union’s and company’s performance, “traditional rules of contract interpretation require only the language be ‘reasonably susceptible’ to the asserted meaning” of the section involved, in this case retiree health care benefits, they said. “Under traditional rules, the agreements were reasonably interpreted to provide that retiree health benefits were promised for life. “Courts should employ traditional rules of contract interpretation, to the extent consistent with national labor policy, to resolve this question, just as they employ them to resolve other questions that arise under collective bargaining agreements. Applying those rules, the (Supreme) Court should affirm the judgment” for Local 644 and the retirees, the Steelworkers say. Should low-paid warehouse workers get paid for time spent in security screenings? In a year when low-paid workers nationwide – Walmart workers, fast food workers, warehouse workers and others – have marched by the millions for a $15 hourly living wage, it is fitting the justices will hear a case involving warehouse workers, on Oct. 8. Federal law says hourly workers must get overtime pay if they toil more than 40 hours a week, including time for “principal activities” related to the job, such as donning or doffing protective work clothes. Now workers at Amazon.com warehouses demand they get paid for the time they take going through anti-theft security checks, which lasted at least 25 minutes each, at the end of their workdays. A class of those workers sued Integrity Staffing Solutions, Inc., a contractor who hired them to toil in Amazon’s Nevada warehouses. “Because of the close relationship between Integrity Staffing’s interest in deterring theft and employees’ primary job duties handling merchandise, the anti-theft screenings constitute a compensable principal activity,” the AFL-CIO added in its pro-worker friend-of-the-court brief. Public pension funds, led by Mississippi and including Detroit and Los Angeles, want to sue the financiers that caused the 2008 crash for fraud, but fear the statute of limitations has run out. The justices will hear that case on Oct. 6. Former Mississippi worker Albert Brown’s employer – the state – broke the law against him. He won back pay and hundreds of thousands of dollars damages, and says employers should also be on the hook for additional taxes he owes on the sums. The justices must decide if they’ll hear the case.